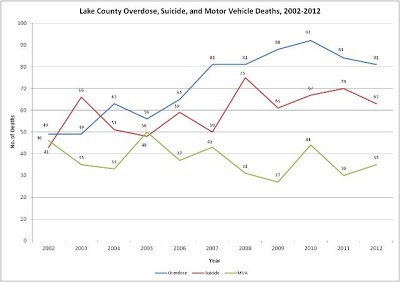 Here is a simple chart outlining the number of deaths via overdose, suicide and motor vehicle deaths. 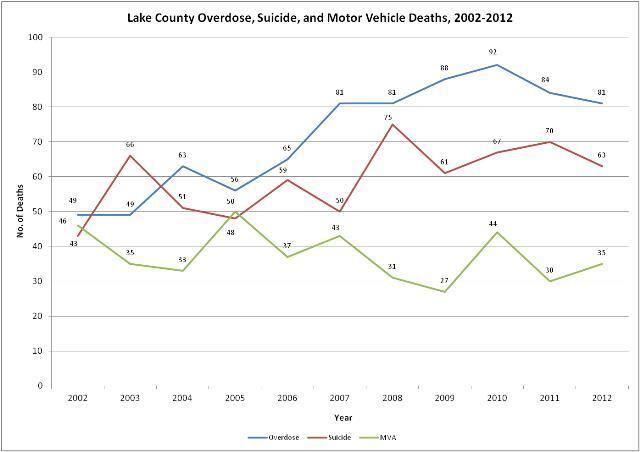 This data was put together by the excellent data professionals at the Lake County Coroners office. Overdoses have exceeded suicides and car crashes for 9 straight years. This mirrors the increase in Heroin being pumped into the United States since the early part of the 2000’s.